A private Villa in Saimaa! The two-story leisure homes have everything from tableware to furniture and electronics for entertainment. Perfecting the vacation is a moment in your private sauna and cooling off on a spacious terrace taking in the surrounding lake scenery. The area has many possibilities to swim, boat, fish and ice skate. The area has many possibilities to swim, boat, fish and ice skate. Close by is an enticing array of trails in the forest, cycling routes, lit ski tracks and exercise tracks. 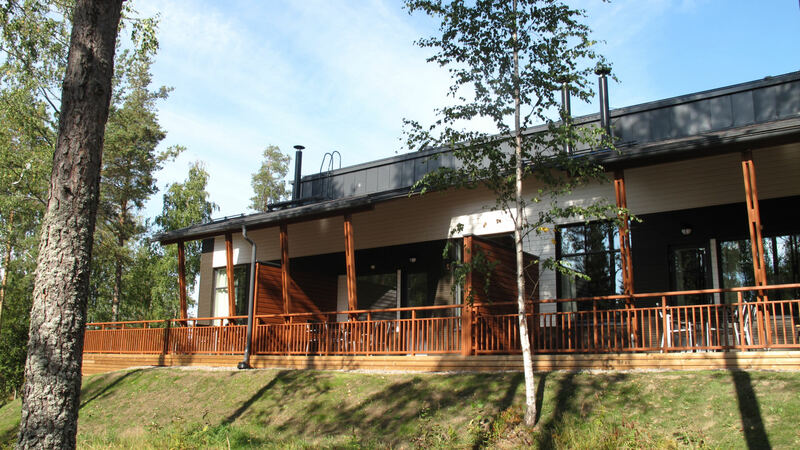 In the adjacent Imatra Spa you can take a spin on the dancefloor, enjoy tasty meals at the restaurant, go to the gym, go swimming and play tennis and beach volleyball, among others.